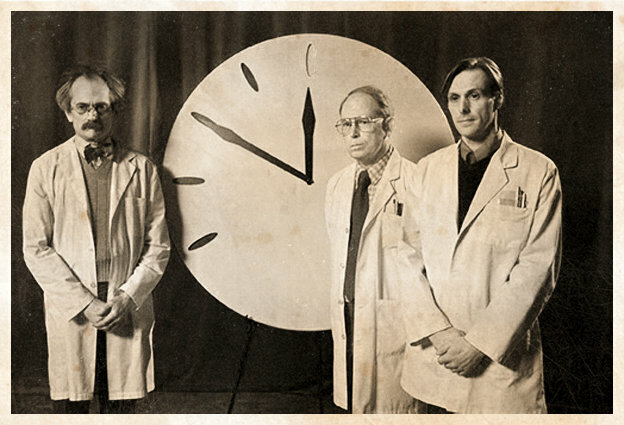 That’s right: it’s 10 minutes to midnight for EU medical devices regulation in the cold war between the ENVI committee and the industry with the upcoming vote in the European parliament’s plenary tomorrow on 22 October. The proponents of the ‘swift and proportionate’ procedure via a centralized EU agency, like currently happens with certain medicinal products in the EU (so super swift, that the EU had to invent supplementary protection certificates to compensate companies for the duration of regulatory approval), keep asking themselves in the press why this naughty industry that places all these unsafe products on the market can have such big problems with legislation that can only make things better. If they operate in good faith, then how can they be against ‘stricter’ rules? With the vote in mind, I hope Europarliamentarians and delegates from member states read this, and realize that many of the arguments made by the Roth-Behrendt side in the discussion surrounding this dossier are flawed. As is inherent in cognitive bias that characterizes these arguments, proponents of that often choose to ignore facts to the contrary and have difficulties reflecting the law correctly. A specific reason to write this blog is Deborah Cohen’s recent article in BMJ, which takes a swing at industry and authorities alike in an attempt to sway the hearts and the minds. Like we have seen before with BMJ articles on this subject it’s a lot of huff but not that much consideration for correct analysis of the medical devices rules. With ‘all these scandals’ happening, how can you be against stricter regulation? It’s what Mrs. Cohen says and also the gist of a recent article in Der Spiegel featuring rapporteur Roth-Behrendt. That’s a trick of argumentation that lawyers are all too familiar with: framing. I’ll explain. First, not that many scandals happen actually. Certainly not enough to derive a trend of structurally unsafe medical devices entering the market. If that were the case we would have a lot more bad news. Secondly, the medical devices industry does not consist of evil corporations that are intent on selling substandard products and that want to avoid being controlled at all costs. They want controls that are proportional and effective. Thirdly, if there is one thing that the comparison with the medicinal product framework shows it’s that this way of regulation does not produce safer and more innovative products that reach the market quicker. The Spiegel article says that even the watered down set amendments “is too much control for many manufacturers”. Deborah Cohen observes in her recent article in the BMJ that the arguments used by the medical devices industry resemble the arguments made by the pharmaceutical industry between 1960 and 1980 when they were being regulated stricter. The important concept here is “stricter”, because that assumes “more effective” or “better”. However, that is completely not what happened. We are now stuck with medicinal products legislation that has made medicinal products very expensive, slow to reach the market and still quite not safe yet as there are still cases of medicinal products that turn out to have significant unexpected adverse events. Don’t get me started about the unmet medical needs. The SME industry in innovative medicinal products has been effectively wiped out because SMEs do not have the means to see a product through to market entry. The EMA is begging companies with ATMPs in the pipeline to please take the gamble with the EMA procedure that has been spectacularly unsuccessful for innovative ATMPs from SMEs. Remember, the vast majority of companies active in medical devices are SMEs – this is undisputed. Even the EMA itself is stating that this is not the way to go in its Roadmap to 2015 and is admitting that the rules for ATMPs are very difficult and costly to navigate for SMEs. It has even set up an SME Office to help them, and the ATMP regulation contains many benefits for SMEs, like fee reductions and regulatory assistance because the Commission saw it coming from a mile away that SMEs would have difficulties with these rules. Did the wise ENVI members propose anything like this for the new medical devices regulations? No, not in the slightest – I don’t they even considered this because it was never publicly debated. They are not concerned with all the SMEs that just try to make good and innovative products – they are only legislating with what they see as evil lobbying multinationals in mind (large minority in medical devices) and fraudsters like the PIP breast implants company (who would not have been deterred or prevented from doing what they did by any set of rules). Then there is the difficult connection with patients. If you ask patients: “Do you want stricter regulation?” they all say yes of course. If you ask “Do you want stricter regulation that will delay life saving therapies and not achieve its purpose to make devices safer than they are?” they all say no. It’s all about how you pose the question to get an informed answer in this debate. And that’s the problem. There is not that much evidence based information in this debate. Industry is allegedly lying, rapporteurs say they have data but never show it and journals like BMJ publish articles that insinuate a lot but prove very little. Don’t get me wrong – I’m not against change. Nobody is. The Commission’s recast that later turned into a revision started in 2008 as a completely uncontroversial update of existing legislation. But what we need is BETTER legislation, not WORSE legislation that repeats, perpetuates and/or implements new mistakes we don’t have to make or that have already been made in other sectors of industry, as I have argued. Where do you think all the extra costs for these procedures end up? And be honest. The devices concerned will become a lot more expensive. If the devices become more expensive, the treatments with the devices become more expensive. If the treatments cost more, this will need to be paid, from public and private means. Do member states have public money to spare to throw at this? Absolutely not. Do patients have money to spare to pay for more expensive insurance or costs that are not covered by insurance? Not those that are already struggling to make ends meet. What we don’t want is to end up in a situation that the US is currently beating itself up over to get out of: that costly medical treatments are not for everybody because they have just become too expensive. This is a harsh economic reality: if you increase costs for regulatory approval, these costs have to go somewhere, and companies become very opportunistic about what products they submit for approval – again, just look at the medicinal products market. I am not sure if the representatives of the member states realise this. Well, they’ve been warned and now they are warned again. Not the ‘swift’ system but the reimbursement system that causes the biggest delays? Mrs. Cohen argues in her article that it’s the member states’ slow adoption of medical devices in their reimbursement systems that causes the real delay. We have heard rapporteur Roth-Behrendt use the same argument. But that’s no valid argument at all. It just shows another aspect of this side of the discussion choosing to ignore to look at implementing solutions where they matter. The problem here is that the EU has no competence to legislate in matters of reimbursement of healthcare. The Lisbon Treaty forbids that. What the EU could do is take some flanking measures to streamline reimbursement, like happened with the Transparency Directive for medicinal products that was put in place to shorten the time it takes for an approved medicinal product to be reimbursed. Did the wise ENVI members propose something like that in the medical devices proposals? Of course not. If the ENVI committee is concerned about reimbursement duration it should do something about that and if it hasn’t got the competence, it should work on lobbying the member states entrusting the EU with it. But this is a completely invalid argument to argue it’s OK to make the market access procedure more costly, more complicated and longer. This quote seems to suggest that all the clinical trial work for a PMA of a device happens after application for the PMA under the auspices of the FDA, which is incorrect. In the US, like in the EU, clinical trials to support the application are done before the application for approval is filed. Like in The US, a sponsor needs government approval prior to starting a clinical study to generate clinical data to support the application for approval of a medical device and like in the US, you had better have a good idea what endpoints the party approving your device is looking for. This is a process we have managed better in the EU, because it’s far easier to talk with your notified body about this than with the FDA. This results in less time consuming back and forth once the application procedure has started. In the end the FDA just is slower in its regulatory process; it is heavily criticised for that and now it’s doing its best to be quicker. Even the FDA itself is not denying this. No exciting story is complete without a nasty villain, and if there is none you create one – that must have been what ran through Mrs. Cohen’s mind when she was writing the article. Let’s invent big evil medical devices industry to go with big evil pharma, right? It’s the oldest debating trick in the book: frame someone as evil and if someone is evil, they can’t be right (remember the Axis of Evil?). You are not evil yourself, so therefore you must be right. QED. Flawless logic, or not? What amazes me is how Mrs. Cohen points at people being consistent in their points of view as an example of people crossing over to the dark side through the ‘revolving door between industry and regulators’. Mrs. Cohen for example uses the fact that John Wilkinson has the same position with respect to the merits of the EU medical devices regulatory system when at Eucomed as when as MHRA to – what is she insinuating really? Is she insinuating that the MHRA could not but disagree with industry? Because industry must always be wrong? That the door between industry and authorities revolves around an axis of evil? This just shows to what a basic level this argument of insinuation stoops and how much cognitive bias is involved to ignore that these evil people may be right. I, for my part, would actually be extremely worried if very competent people like John Wilkinson would start to revisit their opinion when they show up at authorities, and would make the authorities change their policy in the bargain. It also shows that those (including explicitly rapporteur Roth Behrendt) that accuse industry of lying are wrong, dead wrong, because they are also accusing authorities of lying and turning. This is in fact the only point Mrs. Cohen makes with her revolving door insinuations: everybody except the righteous few is evil and therefore wrong. This is compounded by the fact that the righteous often do not understand the law very well, given the basic regulatory mistakes they make in the debate. But hey, if you’re righteous you don’t have to be right, which is very convenient. Just ask all the scientists that were prosecuted throughout history for coming up with a scientific theory that did not correspond with the religious concept of the universe prevalent at the time. The Commission, by the way, also did an evil impact assessment that concluded that a PMA-like procedure via the EMA would not be a viable regulatory solution for Europe. But what do they know? Oh, and don’t forget they’re evil too because Mrs Cohen points to revolving door instances between the Commission and industry as well. So they can’t be right either, this evil Commission. And then you can just ignore the facts that they found, regardless how much research went into them. Conversely, I am quite sure that there are many European parliament members that go on to do other things and that are a lot less consistent in their new positions afterwards. Oh sorry, I forgot those people are always right because they are – excuse my ignorance. Mrs. Cohen frames the disagreement between industry and authorities on the one hand and the parliament on the other as a battle for the hearts and minds. This underlines the fact free nature of the debate from her side of the discussion. This should not be about hearts – it should be about the minds, more specifically the ratio. Regulatory principles have nothing to do with hearts – they should be evidence based and well thought out, achieving the best possible outcome for the largest group of people. They should not be a backlash of badly thought out regulatory ideas that will put their mark on medical devices for decades to come, and this is where the whole ENVI project goes south. Everybody agrees that the system had to change, but let’s change it for the better – not for the worse. The worse is the way we are heading, and we have no one to blame but ourselves. I hope you remember that when you are traveling to Singapore to receive therapy that’s not available in the EU, or are informed by your doctor that you have contracted hepatitis or HIV from a badly reprocessed single use device. I can only hope, as a family member, as a future patient and as someone who knows a thing or two about EU medical devices regulation, that the Parliament’s plenary and the member states in the Council will apply some reason. For all of our sakes. Nice one Nick! Halloween is early indeed, and they have already sent in the clowns in advance (to continue the metaphors)! This is a great legal analysis of where we are today. I hope as you do that some politicians involved in this process take this as a wake-up call and get involved and start rethinking while taking their responsibilties seriously. It’s too much at stake for the patients. HI Erik, as always very thoughful analysis, I do hope that the people that will be deciding for the rest of us take some time to really think about this and the potential impact on health care and innovation and leave the politics out of it! How dare you discredit Deborah Cohen in this way. She is the voice of the people and has a very caring moral attitude towards defective medical devices. Unlike the maufacturers who put their commercial interests and corporatel greed before the safety of patients. Dear Mrs Boni, I understand that you feel that Mrs. Cohen is an important advocate for patients’ interests. I have no specific opinion about that and I think it’s a noble cause that I have absolutely no issue with. However, that does not put her beyond criticism as you seem to suggest. The only thing I have done is taken a look at the sources and arguments that Mrs Cohen bases certain criticism on and have found them not to support these statements, while the article concerned purports to have scientific standing. Mrs Cohen and I have been in discussion about this and she has not proven me wrong on a single of my conclusions in the article on my blog that you take issue with. I think I am entitled to respond if Mrs Cohen is claiming to be supported by sources that do not support her arguments, is using obvious rhetoric tricks and is accusing people of grave conflicts of interest without any shred of evidence. Don’t get me wrong, I am very much in favor of a good debate. But at the very least one’s sources should really check out if one wants to make sweeping statements. If one uses rhetoric tricks or accuses specific people without any evidence, everybody is allowed to pierce that balloon. Everybody wants safe medical devices on the market, and everybody is allowed their opinion, but if one claims to participate in a scientific debate and has evidence for what one says, the evidence should just be there. That’s what I think. “These people” would be exposed if there would be actual evidence that they are acting in a conflict of interest and so far I still have only seen allegations and no evidence. Just suggesting that someone at a government agency is acting in a conflict of interest only because they have been in industry at some point in their career is bad journalism and certainly not science. If Mrs Cohen would have “exposed” people, she would have had the evidence to back this up, like any good investigative journalist needs to.